Heads-up notifications is an application that brings a new feature of the upcoming Android L. One of the latest talked about feature of Android L is the heads up notifications where notifications pop up at the top of your screen. The application does not require Xposed framework to be installed nor does it call for a rooted device. You can interact with with the notifications straight from the lockscreen. The notifications pop up for all apps and updates. The app is not just a glimpse of the heads up notification feature of Android L but it provides flexibility to a great extent. First after you install the application a screen will appear which will prompt you to check the Heads-Up notifications. Click OK to continue. Then select the”Enable/Disable heads up” option. Tap on it to enable. You are done now whenever a mail comes or a weather or Facebook or Twitter notifications come it will pop up. You can edit all the settings related to this app. Click on Options and select “Settings”. 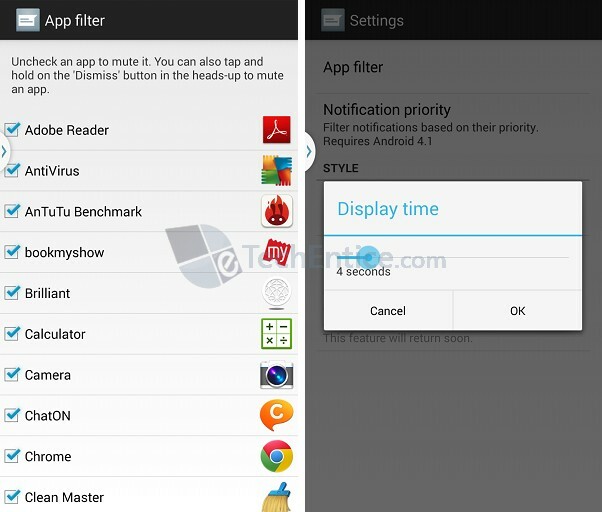 The three main settings are App Filter, Notification Priority, Display time and Lock screen support. When you open the app filter option you can disable heads up for any desired app by unchecking the box beside the required app. Notifications Priority helps you set priority for a desired app. 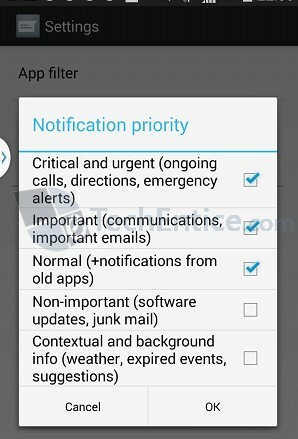 For example you can set critical and urgent priority for mails and Not important priority for Whatsapp or Games. The display time if seems longer becomes annoying. So setting the display time according to your choice is a perfect annoyance remover. The app is a must try. It is available in Play Store. 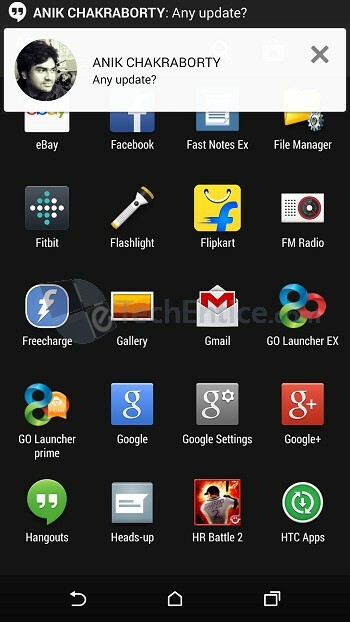 So those who wants to get a taste of Android L must try it.